This article is a quick guide to everything you need to know to prepare before moving to China and how to take your first steps once you have arrived. Keep in mind that many of the subjects included here have been covered in much more detail in other articles. Moving to China to live can be a complicated task, and as you are going to see throughout this article, it takes time and patience. There are many specialized agencies that can help you along in this process to make it less traumatic, both before leaving and once you have arrived at your destination. If you want to find out more about how relocation agencies work, I recommend you read this article if you have already decided that you want to contract the services of a relocation agency. We can recommend a trustworthy and honest one. Even though there are many job opportunities in China, knowing how to find a job is not that simple. It’s important for you to keep in mind that to work in the principal cities in China, legally you need at least two years of work experience (normally after obtaining a university degree) or a PhD. If this isn’t your case, you can choose to test your luck in a smaller city (where the requirements are much less strict) or do an internship first (click here to read our guide). If, on the other hand, you want to go to China to study, finding a vacancy is relatively easy both in private schools and universities. The only thing you will have to do is choose the school or university among the large educational offering that exists in China. You can click here to read our suggestions. Obtaining a student or work visa in China is getting more complicated all the time. The process to obtain the necessary documents can take you between one and two months. Therefore, plan ahead of time. Click here to read our complete and updated guide on how to obtain a Chinese visa. Even though it’s not necessary to get any vaccines to go to China, I recommend that you update your diphtheria/pertussis/tetanus, polio, typhoid, hepatitis A and B vaccines. Here you can find more information on the subject. In any case, it’s better to consult your doctor, as they will be familiar with your vaccine records and can decide what’s best for you. The Chinese Yuan is not an international currency and because of that, it will be very difficult to obtain it in your country of origin. However, once you are in China, changing any international currency into Yuan is relatively easy, whether in cash or via a bank transfer to your Chinese bank account. International cards such as Visa or MasterCard are accepted by the majority of ATMs from the main Chinese banks. However, you should keep in mind that China has its own network called UnionPay and because of this, the majority of businesses won’t accept foreign Visa or MasterCard credit cards. As we explain later in this article, when you arrive in China it is advisable to open a bank account even if you are staying for a short period of time. Having an account with a Chinese bank will make your life much easier and will greatly reduce bank commission expenses. You can read our article to know more about how to open an account and the best way to bring your money to China. I recommend that you buy your plane tickets at least one month in advance. Even if you just want to buy a one-way ticket, I recommend that you check the prices for round-trip tickets because there are many companies whose one-way tickets are much more expensive than their round-trip ones. In addition, I imagine that if you are moving to China, you will take along a lot of luggage. So, it’s a good idea to check out the baggage policies of the different companies. While I don’t recommend one particular company, considering that the deals can vary from one place to another, Air China could be a good option. With Air China, the flight prices are added up separately (you don’t get a discount for a round-trip ticket) and in addition, on the majority of inter-continental flights, they allow you to check two 25kg bags. Click here to read our advice on how to get the best prices on your plane tickets. China is not a signatory to the Apostille Convention, which means that legal documents issued in any other countries have no validity in China. Legalization through the corresponding ministry of the document (for example, in the case of a university degree, the Ministry of Education). Legalization of the document by the foreign ministry. Authentication and legalization by the Chinese consulate in your country. Take note that this process can only take place in the country in which the document was issued (that country’s consulate in China can’t help you), so think carefully about which documents may be useful to you in China. The most common ones are: degrees, marriage certificates, birth certificates and work contracts. Healthcare is not free in China. Therefore, I recommend that you check with your company or university to see if they will provide you with health insurance or not. In the majority of cases, the company won’t provide you with any type of health insurance and universities only provide you with basic coverage. Because of this, you will have to take out a health insurance policy. For more information on this subject, I recommend that you read this article. If you are going to study at a university, you will normally be provided with a room in the foreign students residence. If not, unless you contract a relocation agency, it will be practically impossible for you to find an apartment or room before arriving in China. You can click here to read our recommendations to find a good hotel for the best price. Medicine: Many drugs in China are expensive, hard to find and of doubtful quality. I recommend that you bring a good amount of pain-killers, antibiotics and some anti-diarrhea pills. Books or a reader like the Kindle: In China, it’s very difficult to find books in English and practically impossible in other languages. Even in the big cities, the selection is quite limited (Hong Kong is the exception). Gifts: In the beginning, you are definitely going to need a lot of help from your colleagues or Chinese people you know, and it’s good manners to offer gifts for the help they provide you. Some of the most valued foreign products in China are wine, beauty products and powdered milk for children. 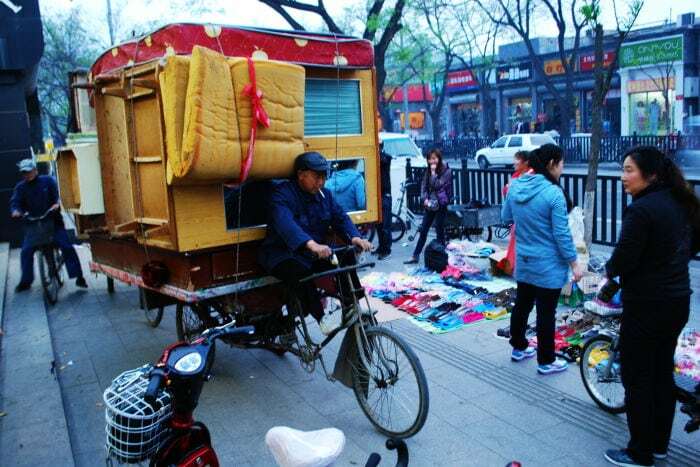 In my opinion, it’s not necessary to send all of your belongings to China, as the majority of apartments or rooms are already furnished and buying clothing or home products is quite cheap. However, if you are moving as a family or for other reasons need to bring more things than you can check on the plane, there are many companies that can help you send your belongings. I recommend that you use a company that specializes in China, as clearing customs can be complicated at times and is going to be more or less rigorous depending on the good (or bad) contacts that the importation company has. Keep in mind that the following products are prohibited: poisons, precious stones, jewellery, coins, dollar bills, counterfeit money, weapons, ammo, digital materials (tapes, CDs, etc.) and any other printed material that could be considered harmful. Articles that aren’t prohibited but which are strictly regulated include: any device that can intercept radio signals, lithium batteries, tobacco, alcohol, plants, seeds and animals. The shipment can be made via air transport (more expensive but quicker, around a week) or sea transport (cheaper but slower, between one and two months). Finally, make sure that you properly protect your belongings against humidity and bangs, as they aren’t going to be treated with much care. If you move with your children, one of your main worries will surely be where they are going to go to school. The Chinese education system is quite specific and particularly demanding of students. To put it briefly, in Chinese schools, competitiveness is encouraged and creativity stamped out, and students are required to study for long hours and complete never-ending homework. If you want to find out more about how Chinese schools work, I recommend that you read the interview that we did with Marta, an Italian student who went to study in a Chinese high school for a year. Because of the reasons that I just mentioned (apart from language), many expats choose to send their children to international schools. You can see the complete list of international schools in China by clicking here. Given that the tuition in international schools is quite high, recently, expat parents have started to enroll their children in conventional private schools. There are even some parents who are enrolling their children in public schools, either out of necessity (because there is no other option in the place where they live) or because they want their children to integrate better in the country. 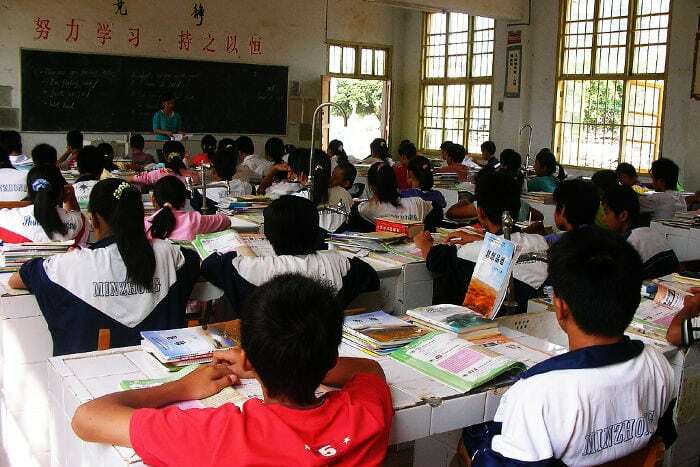 If you are thinking about this option, you should know that Chinese public schools are just like the universities: their financing and quality vary greatly from one to another and in addition, securing a place in the best schools is extremely difficult. As you can see, choosing the right school for your children can be a difficult task (especially if you don’t speak Chinese). So, unless you have a suggestion from someone who lives there, I suggest you ask for an expert’s opinion. Entering China via an airport that doesn’t require quarantine: Shanghai and Beijing require quarantine. I’m not sure about Guangzhou, because the information on it is contradictory. The only international airport that I know doesn’t require quarantine is the one in Qingdao. Contracting an agency: There are many agencies that will help you with the paperwork, and many assure you that it is possible to avoid the quarantine both in Shanghai and Beijing. However, the cost is quite high. A Z visa or work visa. Official certificate of recent vaccination against rabies (between 30 days and 12 months before entering the country). An international certificate of good health issued by your veterinarian in your current country. The certificate must have been issued a maximum of 14 days before your arrival in China. The passport of the owner, which will be presented at customs and must coincide with the name on the vaccination and health certificates. Pets that travel unaccompanied require an importation permit. The permit must have been obtained by someone acting on the behalf of the owner. China isn’t currently demanding a mircochip, but it’s very likely that this will change soon. Important: In China, animals can’t travel on public transport, whether on the bus, train or subway. Normally, taxis won’t have a problem if the animal is small, but if you are transporting, say, a large dog, it would be better for you to arrange transportation. One of the first things that you have to do when you arrive in China is to register with the local police station. Normally you have 24 hours after your arrival to do it. If you are staying in a hotel or a university student residence, the hotel or university will do it for you. If this is not the case, you will have to do it yourself. 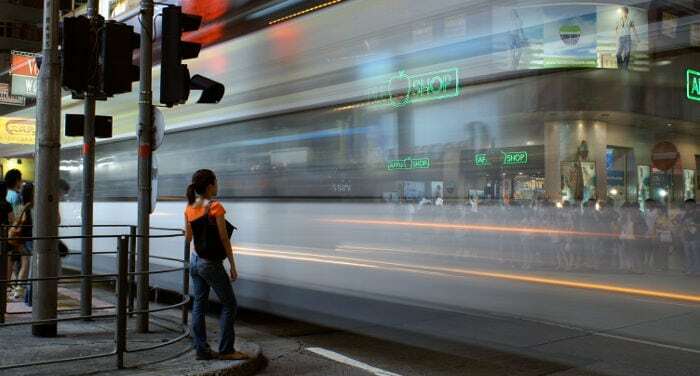 While a few years ago, registering late wasn’t a problem, the tendency in the past years has been getting more and more strict when it comes to this regulation. Even though right now, registering late will just mean a written notice that you must sign promising not to do it again (under the threat of a fine), it is very likely that in the future, you should expect to pay a fine for each day of tardiness. To register, you just need your passport and rent contract or a copy of the property registration or the ID card of the property owner of the place in which you are staying. 1) Undergo a medical exam in an authorized medical center. As a foreigner, in China, your passport is the only piece of valid ID that you will have, and you are going to need it for all of your procedures (going to the bank, train tickets, renting an apartment, etcetera). Because of this, it’s not rare for it to be lost or damaged. If your country doesn’t know that you are living in China, it will be a real pain in the neck to get a new passport. If one day, you decide to leave China, having lived there for at least a year will give you many tax advantages upon changing your place of residence, and the only way to prove it is through registering with your consulate or embassy. Opening a bank account is relatively easy and you aren’t going to need much language abilities to do it. The only thing you need is your passport and around 10 to 20 Yuan for the card. Why do I need to open a bank account? If you are working in China and your are paid in Yuan, you will need a Chinese bank account. As I have said before, the Chinese banking network is UnionPay, and in the majority of places, only cards on this network will be accepted. The best way to exchange currencies is via bank transfer to a Chinese bank and later changing the international currency that you have transferred to Yuan. Also, you can save a lot of money in bank fees by using Transferwise. To purchase things online, you can only do so with an “online bank account” from a Chinese bank. If you work in China and the company pays you in Yuan, it’s very likely that they will require you to get a particular bank account. In the event that you can choose, I recommend that you choose one of the large banks, as they allow you to keep your money in the account in various currencies. 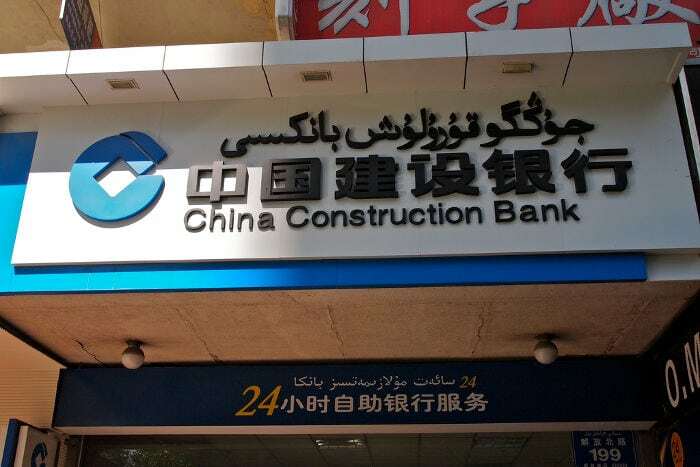 Personally, I like the Construction bank of China and the ICBC. I suggest that you avoid the Bank of China, as it is an inefficient and excessively bureaucratic bank. To give you an idea: if you lose your Bank of China card, you won’t be able to use your bank account for two weeks, whereas at the Construction Bank, they will make you a new one in the moment. International driver’s licences aren’t valid in China. If you want to drive, you will have to obtain a Chinese permit. The process for getting the permit is quite easy if you have one from another country. If you want to find out how to do this, I recommend that you read this article. In China, there are currently two mobile phone companies: China Unicom and China Mobile. Both companies are practically the same in terms of service and price. Even though in the past, people said that the mobile internet was a lot better with China Unicom, since the implementation of 4G, I don’t think there are significant differences. Currently prepaid SIM cards can only be purchased at the official stores of the two major companies; you will have to show your passport and pay between 20-50 Yuan. You can also make a monthly contract, though I only recommend this option if you are going to use the phone a lot. Remember to activate your data plan: When you go to the store to get your SIM card they will normally ask you to choose between the different data plans according to the monthly limit you want. In China, internet usage is limited: If you want to access your Google (or Gmail) account, Facebook, Twitter or many other services, you are going to need a VPN active on your cell phone. The 4G system is different depending on the company and if you want to use it, it’s possible you may need to purchase a Chinese cell phone which is compatible with your company. You can read more on the companies and how the internet works in China by clicking here. This is one of the biggest problems when someone arrives in China. Looking for apartments can be hopeless, as the quality of the apartments in general is bad and real estate agents rarely show you what you have asked for. In addition, except in Shanghai, Hong Kong or Guangzhou, it’s almost impossible to find real estate agents who speak English. In the majority of cities (Beijing, for example), the few real estate agencies dedicated to expats (and who therefore speak English), focus on apartments which are “high-end” not because of their quality but because of their price, which is around 20,000-30,000 Yuan per month (more than 2,500 USD per month). If you want to find out more on how to find an apartment, you can read our articles on Beijing or Shanghai. That’s all for today. If you think that I have left out any topics, don’t hesitate to leave a comment! Hola, buenas! Mi empresa me ha abierto una cuenta en el CCB (china construction bank) en shanghai, y me preguntaba si habria algun modo de acceder a mi cuenta via online?? gracias! Hola Silvia está esta es la sección en inglés de nuestra web te recomiendo que en el futuro visites nuestra web en español (http://www.saporedicina.com/es/). Para acceder a tu cuenta online tienes que ir al banco y abrir la banca online (网上银行). Te daran una clave de usuario un password y un generador de códigos.